I just love this salsa. It is so easy to throw together and really takes mexican food up a notch. 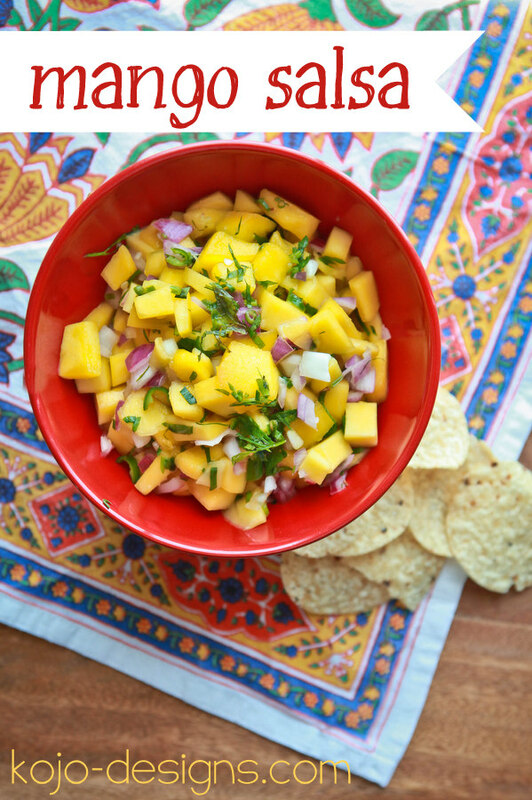 It’s actually more like a mango pico de gallo, meaning it is chunky and 100% fresh ingredients, but I promise you’ll love it just the same! Dice the mangoes into bite size chunks. Mince the jalapeno and purple onion. Roughly chop the cilantro. 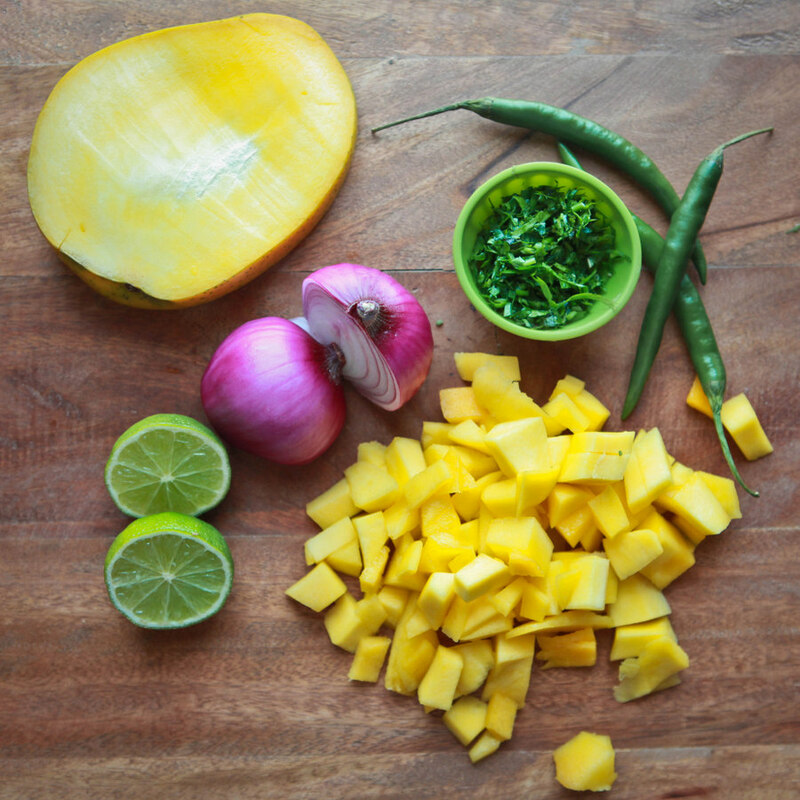 Combine all the ingredients, squeeze the juice of one lime over everything and stir. That’s it! I told you, so simple and so so tasty. 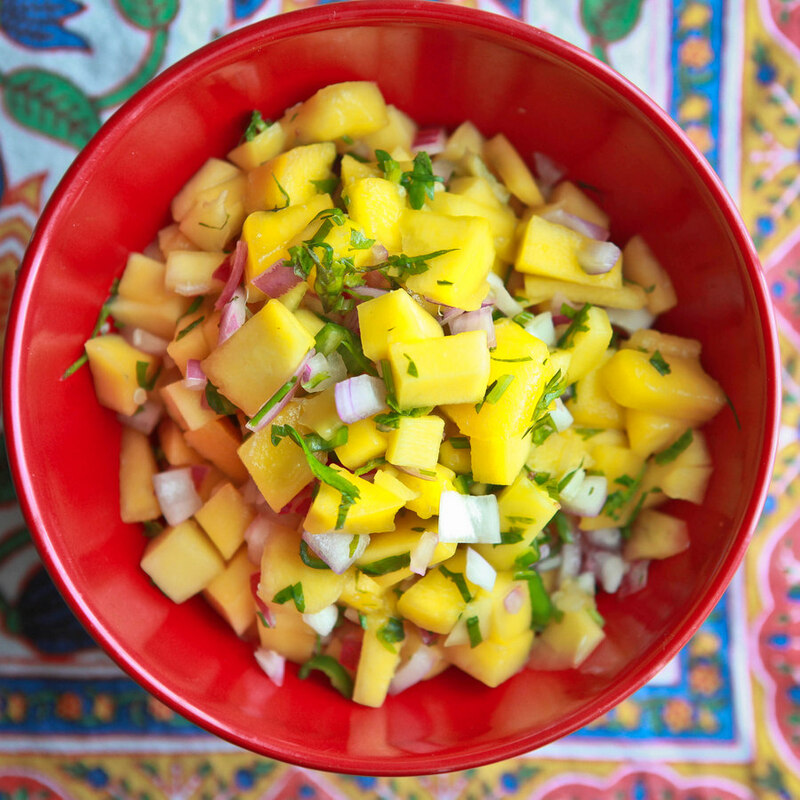 Serve with chips as a dip, on a taco salad or with fish or chicken tacos.